The Kentucky Derby: it means different things to different people. For a lot of folks, it’s a marquee horse race and the jewel of the Triple Crown. For others, it’s an excuse wear a hat that looks like a smashed up birthday cake and sip mint juleps. For many more, it’s a God-given opportunity to pound Michelob Ultras, start a fight with your cousin’s wife and/or pass out in the Churchill Downs infield sporting an ill-fitting rented waistcoat from Men’s Warehouse. Whatever the case, it’s glorious. And if you’re keen to witness the spectacle while staying in a beautiful Airbnb in Louisville, the Kentucky city offers ample choice. Here are some of our favorite homes for your trip to Churchill Downs. The history of Louisville can be traced back to 1778, two years after the founding of the United States itself. This heritage is evident in the architecture, with colonial revival homes lining the streets. The style, which was popular in the early 1800s, reflected a sudden desire to channel the Georgian architecture of Great Britain. This five bedroom home is a fine example—a symmetrical front facade, a grand doorway framed by columns—and is ideal for large group trips to Churchill Downs. The interior features large living spaces with midcentury furniture and an impressive array of Persian rugs. A sun room welcomes in the Southern warmth, while the kitchen boasts a elegant tile backsplash. 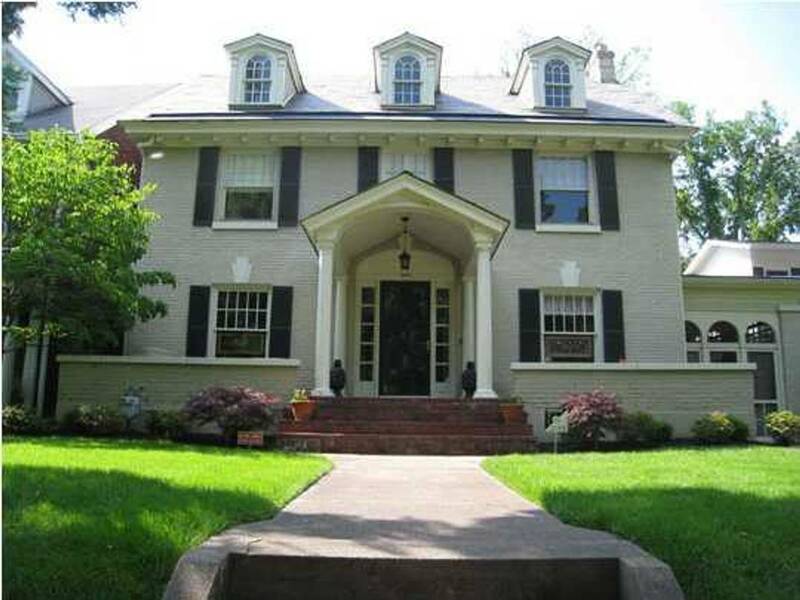 The home is in the historic Highlands district on the edge of Cherokee Park, an area full of trendy bars and eateries. After a day at the races, you can have a great night out close to home, then collapse in one of the uniquely designed bedrooms. 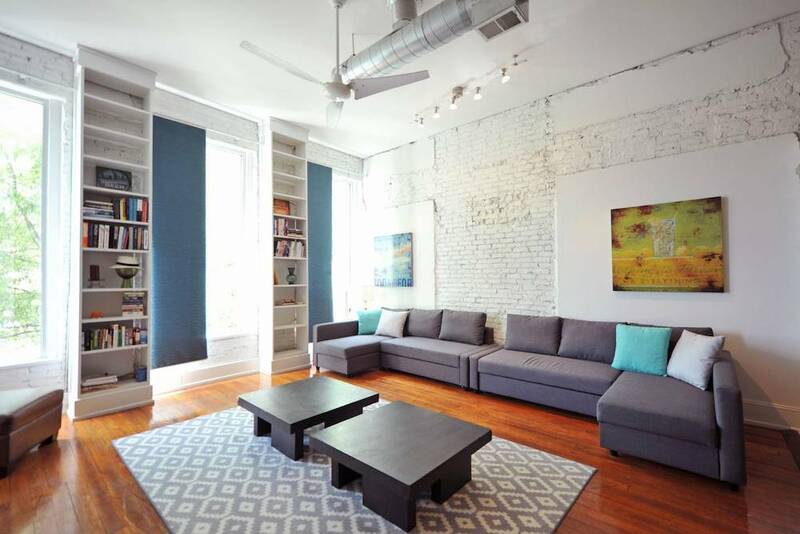 This condo is house in a historic brick building dating back to the 1800s. The two bedroom space features tastefully appointed rooms, an open plan kitchen and wall after wall of original exposed brick. 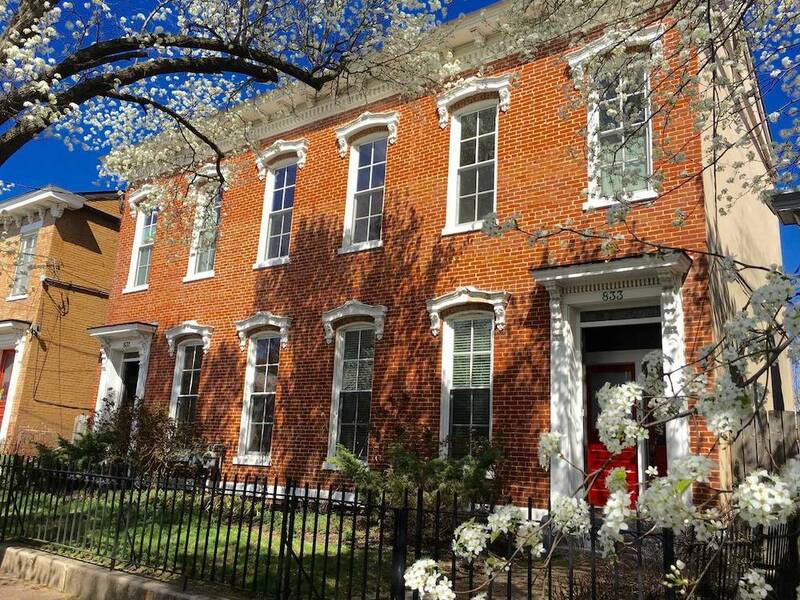 Located in NuLu (New Louisville), the home is surrounded by craft beer bars, galleries and an abundance of restaurants and eateries that have seen the area become a culinary destination. It’s also only a short 4 mile drive to Churchill Downs. You need to book this place if you’ve got a serious crew coming to the Kentucky Derby. The loft, located in a historic warehouse built in 1885, is a two unit space that can be rented as one home. This means upwards of 20 guests can stay. Along with its size, the loft is a stellar example of industrial renovation: think wide open communal areas, exposed brick and high ceilings. There is ample room to breathe, and it may serve as a welcome sanctuary after the crowds of Churchill Downs. The loft is between downtown and NuLu, meaning plenty of options for eating out and enjoying the nightlife. 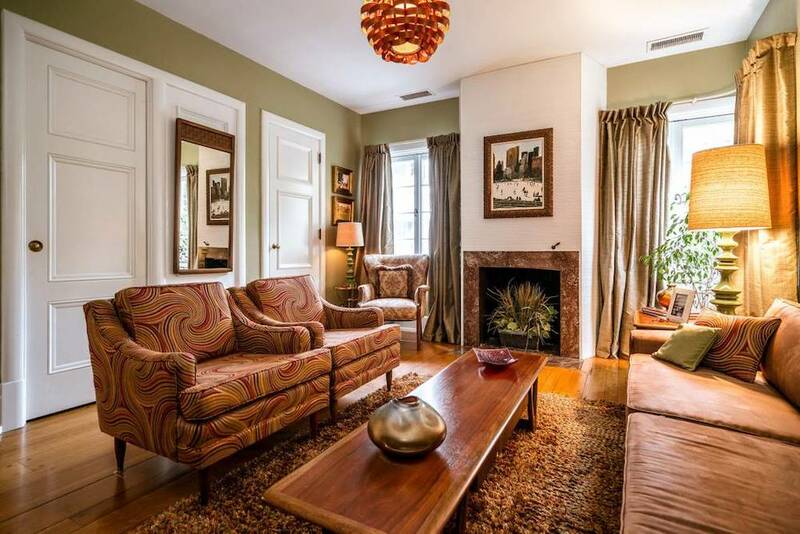 Along with colonial revival and Victorian-era houses, Louisville also offers the occasional Art Deco home, and there are none better than this three bedroom masterpiece. The home, which is on the National Register of Historic Places, was built in 1946 in true Art Deco style. 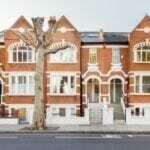 It features a distinct, turquoise and white entrance, curved walls and windows that wrap around the entire house. Allusions to Miami Beach are easy to come by, most notably on the garage door, where circular port windows create a work of art where you’d least expect it. The home is a 10 minute drive to Churchill Downs and roughly the same to downtown Louisville. One Mint Julep too many can result in some unwelcome emotions. Take the weight off after a tough day at the races by unwinding poolside at this sprawling Mid Century home. 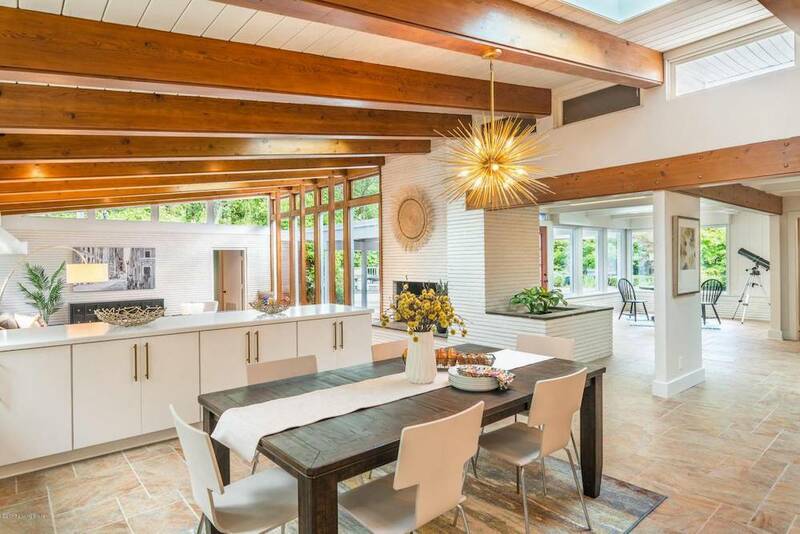 The house is as dynamic and eye-catching as anything you’d find in Palm Springs, thanks to defining Mid Century features like open-plan living spaces, hardwood floors and impressive vaulted ceilings. Although the home is located about 14 miles from Churchill Downs, the host provides a Range Rover and Mercedes Sedan, plus your own private driver—a welcome addition after a few too many Mint Juleps; as is the gourmet chef, who will be on hand to cook a post-race dinner.